Before the fans have a chance to give their two cents about his take on Peter Parker in the franchise reboot "Amazing Spider-Man," Andrew Garfield got a confidence boost from the only other guy who knows what it means to wear the webs. But before that, Sony Pictures seemed intent on making Garfield sweat out the audition process. 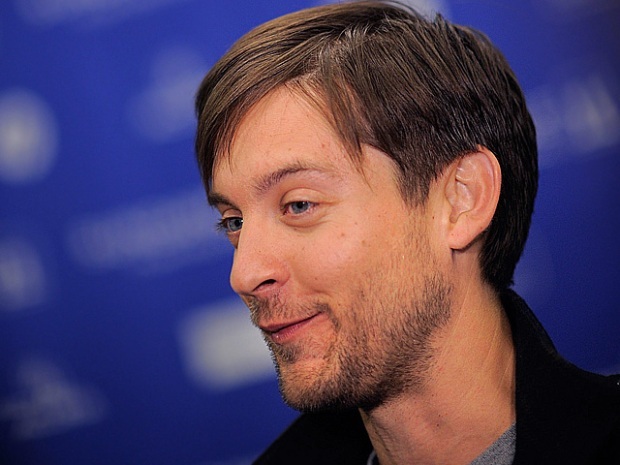 Tobey Maguire chats about bringing his new movie, "The Details," to Sundance. Plus, what does the former "Spider-Man" think about "The Social Network's" Andrew Garfield taking on the role? Is he excited for the franchise reboot?